Display the meaning of Christmas in bold, elegant colors. 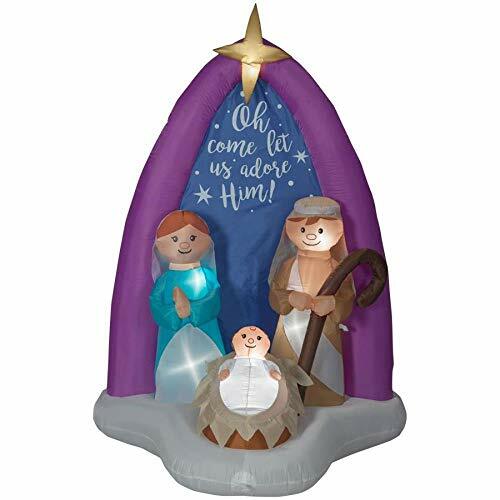 Perfect for any lawn, yard or garden, the Outdoor Nativity Set Series is made of all-weather, fade-resistant PVC plastic. Made in USA. 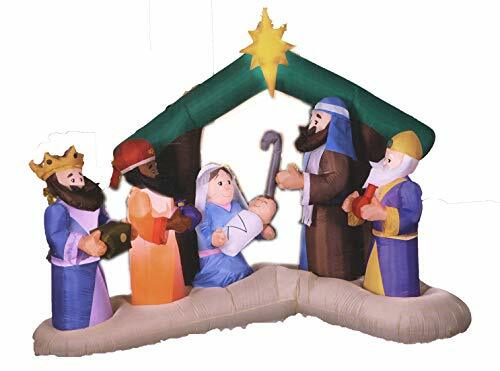 Our inflatable Christmas Nativity set features 6 characters: Mary, Joseph, and Baby Jesus along with the Three Kings. 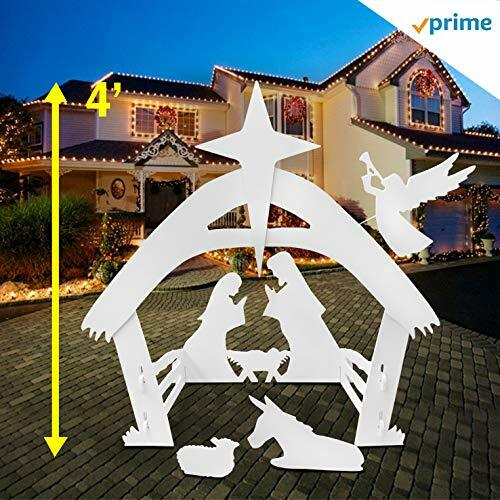 They are set in front of a manger or stable with a guiding star to light the way. 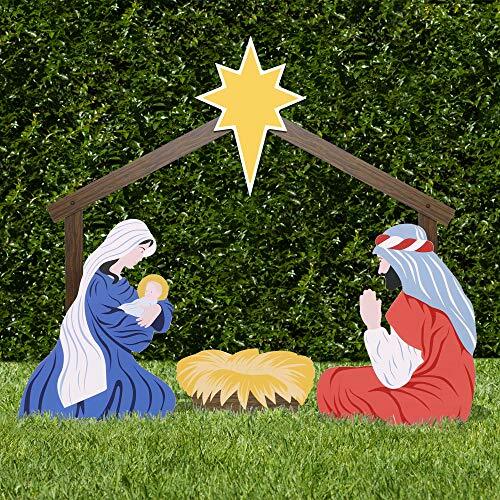 Light up your neighborhood with this outdoor display that shows that Jesus is the reason for the season. The set lights up on those dark cool nights. 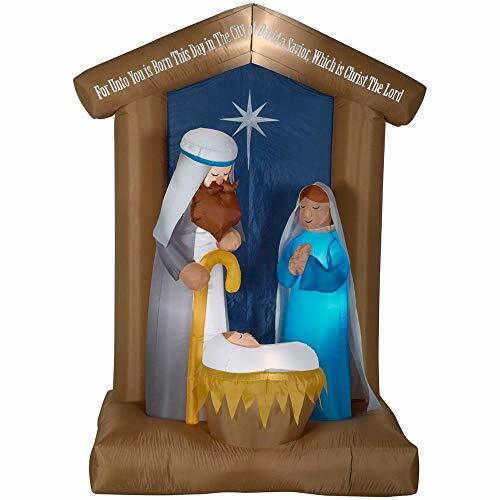 It's great for front yards and neighborhood contests as well as church displays and community holiday celebrations. Simply unfold, stand, and zip up the Airblown, plug it in and allow it to inflate. Then tie it down with the stakes and tether ropes that are included. When not in use, turn off the inflatable unit and it will sink to the ground. NOTE: Extension cords are not included. 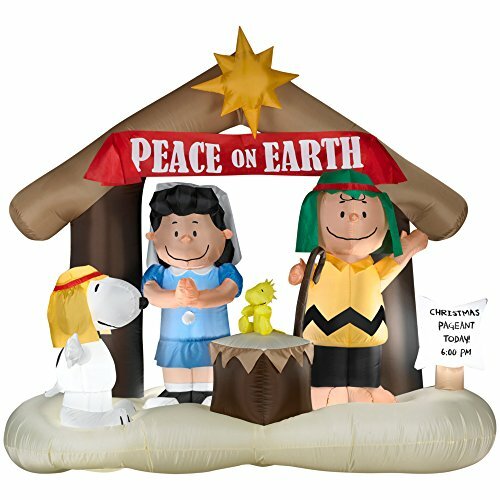 Air blown Nativity scene inflatable yard decor that is an adorable greeting for your neighbors and holiday guests. 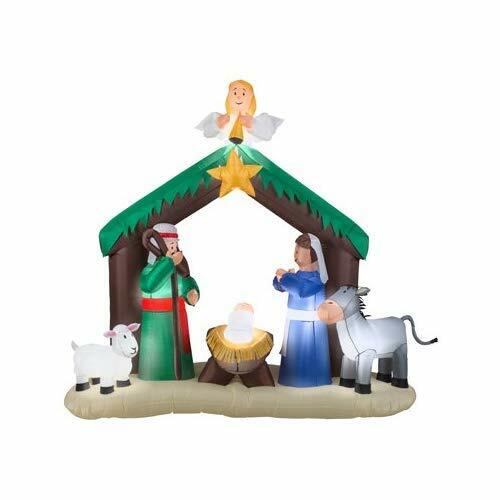 The beautiful, vibrant and colorful 23 piece Real Life Nativity is rich in intricate detail. The dramatic facial expressions bring the story of Jesus' birth to life. The tallest pieces (Angel, Joseph and Balthazar) stand approximately 5 inches high. This keepsake quality set feature the original gifts of Christmas: Gold, Frankincense and Myrrh. 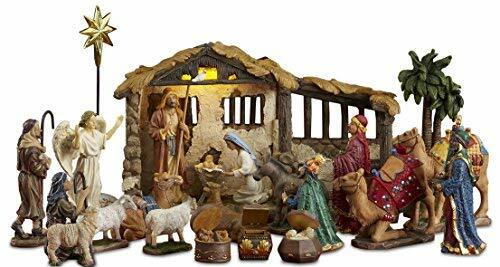 The Real Life Nativity comes with a Certificate of Authenticity to validate the 23k gold, pure frankincense and authentic myrrh. A gold embossed display card tells the story of the Original Gifts of Christmas. This is the most complete Real Life Nativity Set available. It features all available pieces including palm tree, extra camel and two Awassi Sheep. A Nativity Set to be treasured for a lifetime. Size: 46" tall x 43.375" widex 43.375\"